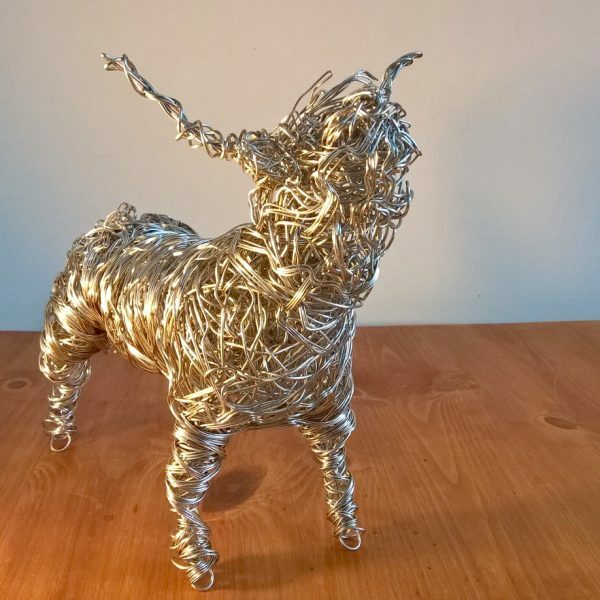 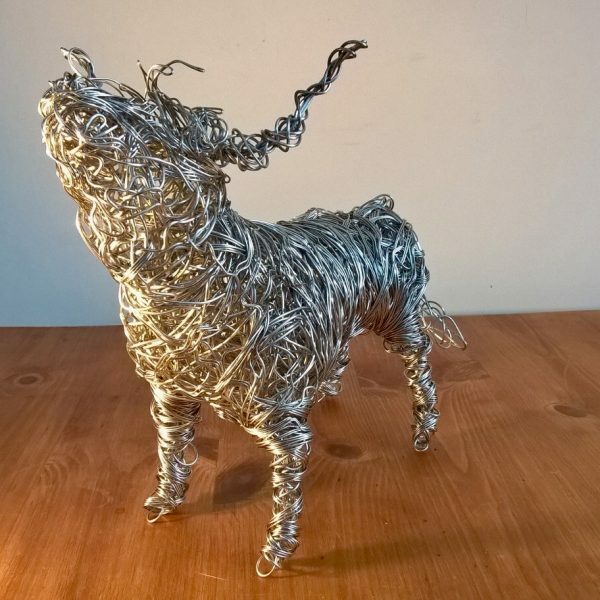 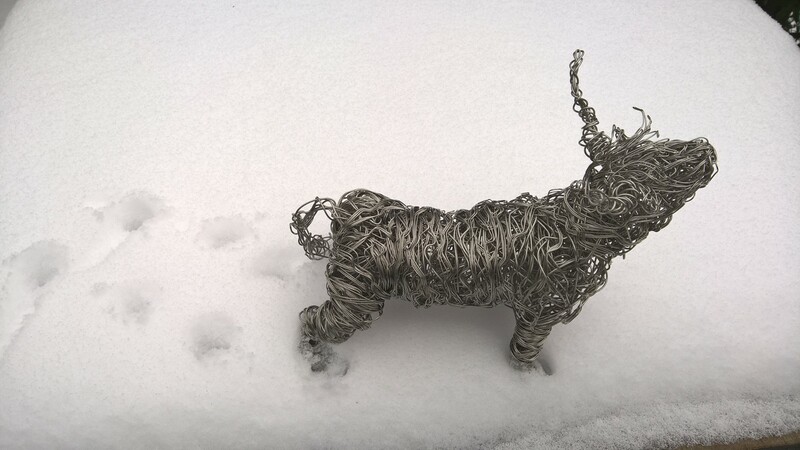 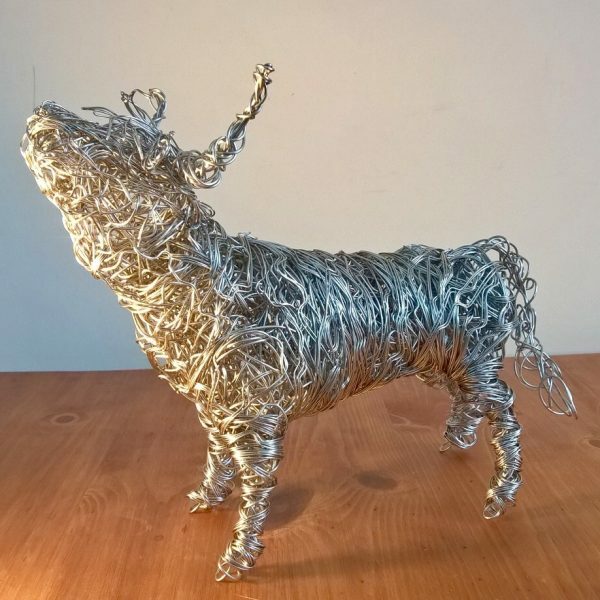 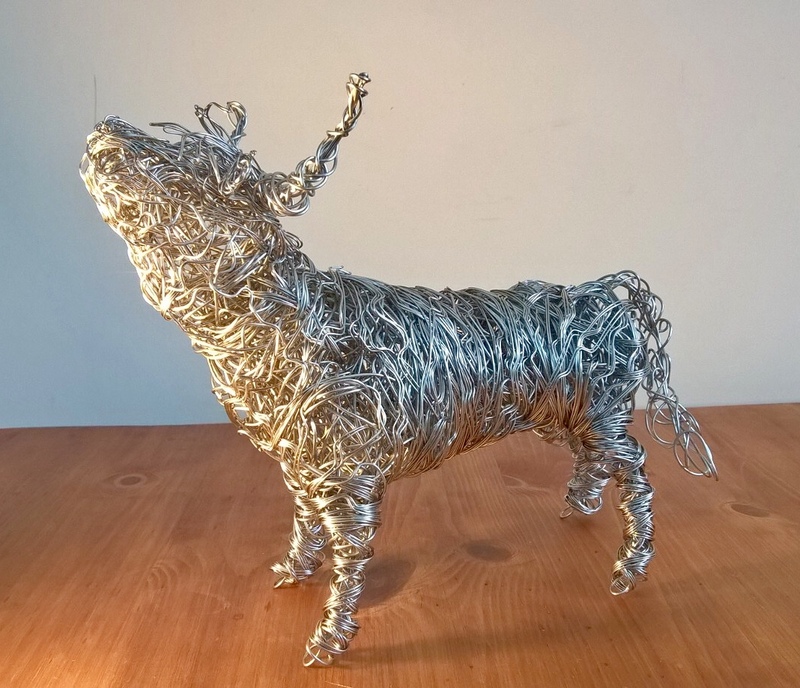 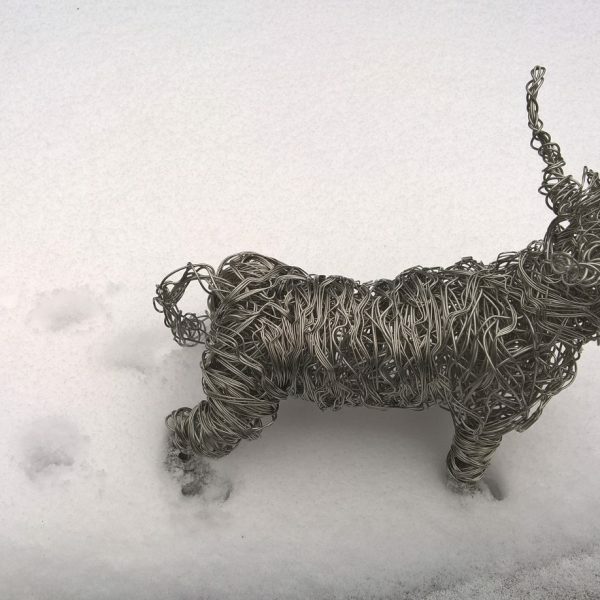 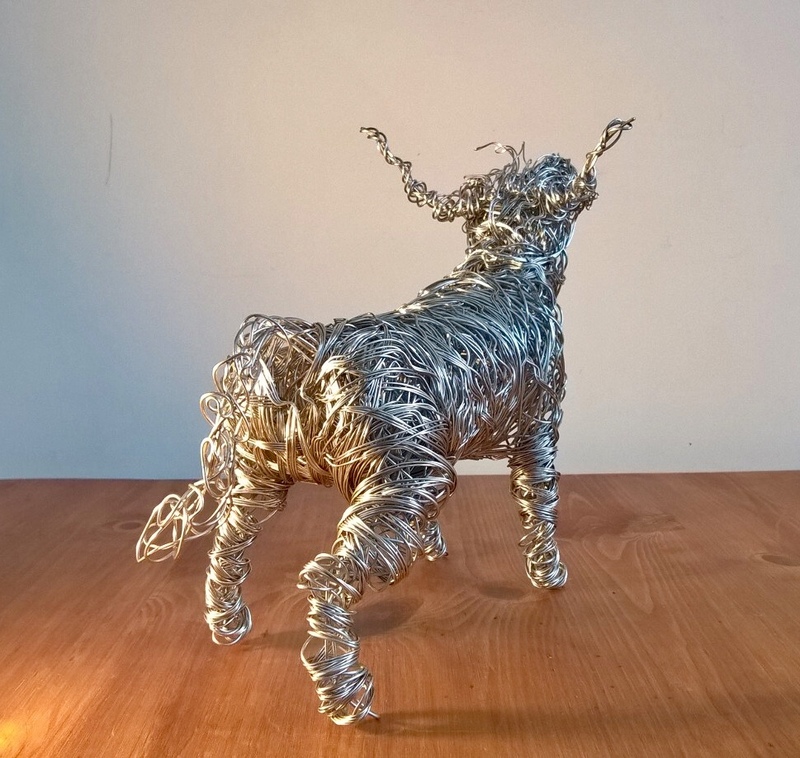 This proud Highland Cow has been hand-crafted from stainless-steel Wire by Gill in her Sussex studio. 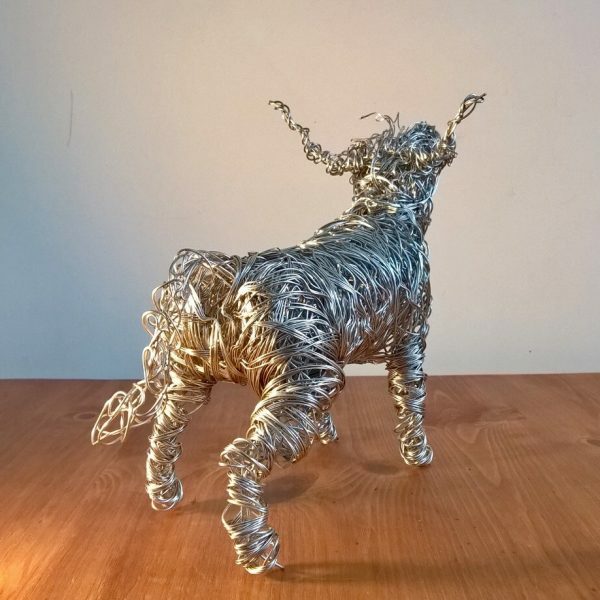 He stands approx. 22cm high to the tip of his horns, and 27 cm long, He is a completely original piece, as Gill doesn’t use any patterns when creating her sculptures. 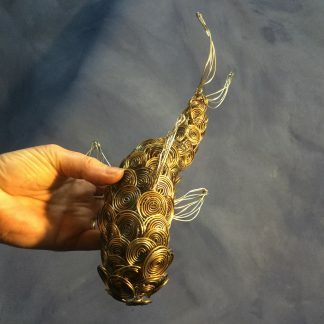 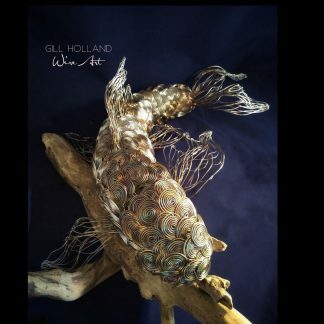 Gill Holland originally honed her wire skills over many years making jewellery and tiaras, but she has since moved on to create larger more expressive pieces, that include animals and birds. 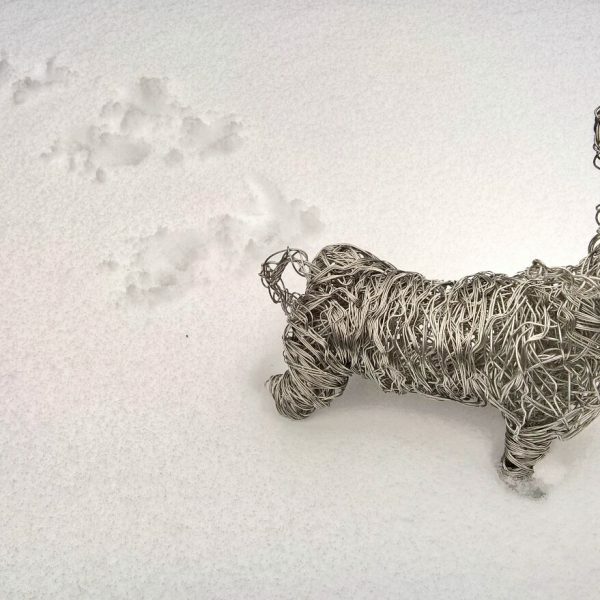 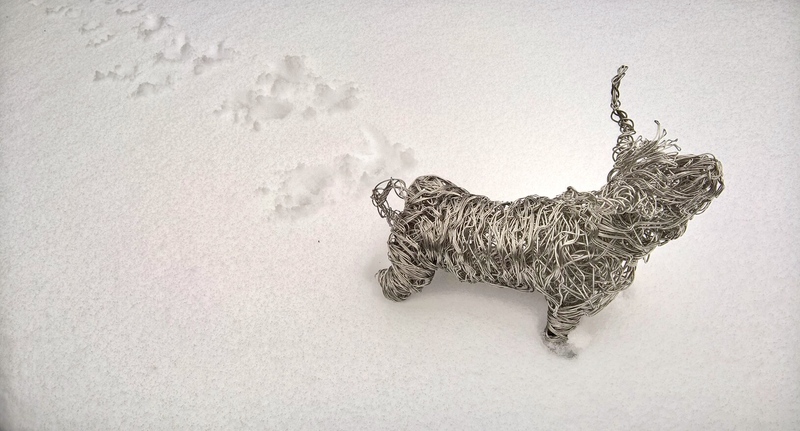 Her sculptures are generally made from stainless steel wire and are suitable for both indoors and out.